Gov. Phil Murphy signed an executive order Friday requiring that regular reports on gun violence in the state be made public. Brian Thompson reports. Gun control advocates are hailing New Jersey's release of near-real-time firearms trafficking data as a trailblazing use of federal information, but Second Amendment advocates and skeptical Republicans question whether the report amounts to a way around a federal limitation on the release of some data. Democratic Gov. Phil Murphy unveiled the data Tuesday as part of a campaign promise to strengthen New Jersey's already-tight gun laws. The colorful, four-page report uses what gun control supporters say is a novelty: Bureau of Alcohol, Tobacco, Firearms and Explosives gun-trace data for the first quarter of 2018 to show that 77 percent of guns used in crimes in New Jersey come from out of state. The publication appears to be the first time a state has taken advantage of the ATF data with such speed, according to experts at the gun safety Giffords organization and the Brady Campaign and Center to Prevent Gun Violence. Cities, most notably Chicago, have used the ATF data in reports, but those came out annually. New Jersey has pledged to post monthly data and quarterly data based on ATF reports. "New Jersey stepped up, said we have this data, we get it from ATF and we're going do the work to gather, visualize and then publicize this," David Chipman, a former ATF agent and the senior policy adviser at Giffords, the organization named for gun-attack victim and former Arizona Rep. Gabrielle Giffords. 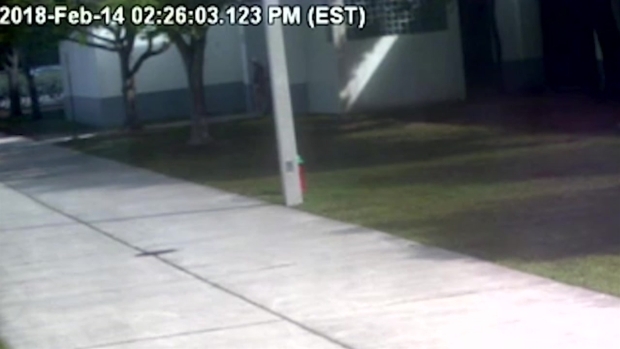 Surveillance footage shows then-school resource deputy Scot Peterson standing outside of the Marjory Stoneman Douglas High School building where gunman Nikolas Cruz opened fire on students and faculty inside, then running out of view, not to be seen again on other school cameras. The data release comes amid a national conversation surrounding gun control in the aftermath of fatal shootings at a high school in Parkland, Florida, and as Democrats push for tighter gun laws while the Republican-led Congress has not passed any such measures. In New Jersey, Murphy and the Democrat-led Legislature are pushing a package of six gun control bills. The speed of the state's release of ATF data stands out particularly because the most current information the bureau has publicized is from 2016. ATF Special Agent Joshua Jackson said the bureau won't comment on how a state could publicize data faster than the agency itself. He also said the bureau doesn't track state initiatives in response to questions about whether New Jersey was the first to publish the data this quickly. Chipman and Kyleanne Hunter, the Brady Campaign's vice president for programs, said they believe ATF does not prioritize near-real-time release of data. "It hasn't been a priority, even less so in this administration," Hunter said of President Donald Trump. The aunt of a Marjory Stoneman Douglas shooting victim attended a walkout Wednesday at the Parkland, Florida, high school where her niece was killed on Feb. 14. "I beg viewers to stand up with these kids and fight with us to get this gun legislation in this country changed," Gina Fontana told NBC 6's Ari Odzer. Speedy data reporting by ATF is also a political lightning rod. That's because the ATF's release of data is governed by an appropriations provision that prohibits it from releasing information from its firearms trace database to anyone other than a law enforcement agency or prosecutor in connection with a criminal investigation. That has led Second Amendment advocates to raise concerns over the publicizing of such information. The Association of New Jersey Rifle and Pistol Clubs, an affiliate of the National Rifle Association, said Murphy could be skirting the federal provision on gun data. "This is part of a larger regional effort by Murphy's coalition of anti-gun states to circumvent federal restrictions on release of gun trace data, and to manipulate data for the purposes of influencing public policy in other states," the group said in a statement. The group also worries that the data leaves out all the cases when guns are used to stop crimes. 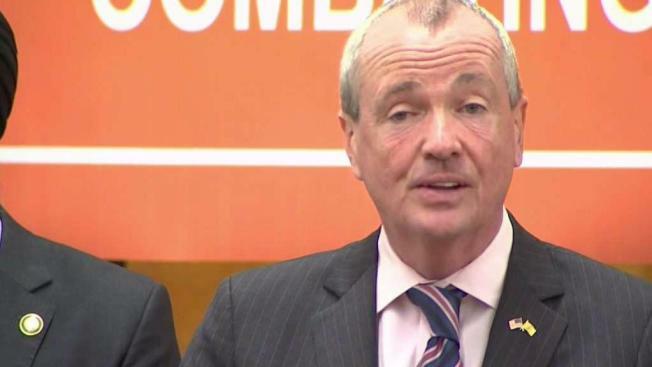 Murphy spokesman Dan Bryan said the governor believes the data will encourage other states to strengthen their own gun laws, or to join the multistate regional gun safety coalition that Murphy helped establish. Republicans say it's hardly a surprise that most of the crime-related guns recovered by law enforcement in New Jersey have come from out of state, saying it's a result of the state's tough gun laws. They also argue that the reports don't support the governor's push for the legislation, including measures to limit the size of magazines from 15 rounds to 10. "He's just grandstanding," said Republican Assemblyman Erik Peterson. "There's nothing in the reports that anyone would have thought wasn't the case." Gun control has been a major focus in Murphy's first year in office. Beyond the new reports, Murphy appointed a gun safety adviser whose role is focused on pursuing litigation and joined the multistate gun control coalition.